OK, No more – Mani!!! My first reaction after watching Maniratnam’s latest outing OK Kanmani was “Man, Mani should now call it a day”!!! After feeling disappointed the last few times over (Guru, Raavan, Kadal), it was with much trepidation that I ventured to watch what was Mani’s 21st film without even bothering to look at reviews. Ofcourse the teasers and trailers communicated loudly that Mani was in his familiar territory. Youth, Urban, Romance, Rebel,…,… Like somebody said there was virtually a sympathy wave this time around for Mani and more than himself, his fans wanted this movie to work. And there are enough reasons for this kind of sympathy and empathy. After all, in Tamil cinema which is usually driven by the “Star Mania” (Puratchi thalaivar of yore to Thala of today not to forget the Nadigar Thilagam, Super Star, Ulaga Nayagan, Ilaya Thalapathy in between) – there has been little scope for a Director to make his mark and make people throng the theatres just for his direction. Maniratnam did that. Again and again for a long time. Up until recently. Not that he was the 1st to do so. From Bhim Singh to Sridhar to Balachandar to Bharathiraja and briefly Bhakiaraj all of them did exactly that. 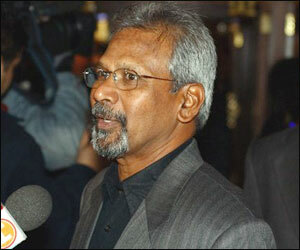 But what made Maniratnam stand apart from others was he removed “Drama” from Tamil films and that was a welcome change. Rooted in “casualism”, his movies shunned lengthy dialogues, over the top acting/overacting, emotional hathyachaars,… in short what I call as “Drama”. And brought in an overdose of cool quotient –female leads with a rebellious streak, Staccato dialogues, matter of fact acting and ofcourse with a lot of emphasis on the technique (Cinematography, Storytelling style, Background score, Music, Sound engineering, Song picturisation,…) And appealed to the Nextgen. Having said that, he was careful not to tread the path of an Adoor Gopalakrishnan (the ace Malayalam Film maker whose movies were rooted in realism – so rooted that they failed to break into the mainstream mould and remained favourites of film festival hoppers). Mani was smart to remain mainstream while pursuing an alternate film making path for himself. After Mouna Ragam, when Nayagan hit the screens, Maniratnam had arrived and there was no looking back since. I can devote an entire post on Nayagan which I will keep it for another pertinent occasion. For now I will just leave it with – “In Tamil cinema there was an era before Nayagan and one post that”! In an interview when somebody asked him as to what was the secret behind his films’ connect with the audience – Mani said that all his films are about relationships which people relate to. And generally not from out of the world. But when I look at his body of work, there are 2 types. One set of films just about relationships (Mauna Ragam, Agni Natchathiram, Idayathai Thirudathe, Anjali, Alai Payuthey and lately OK Kanmani) and the second set is about relationships but in a political/current affairs/worldly backdrop – Nayagan (Bombay Tamils), Roja (Kashmir issue), Bombay (Post Ayodhya riots), Dil Se (NE turmoil), Kannathil Muthamittal (Srilankan strife), Aayutha Ezhuthu (Student politics), Raavan (Maoist problem),… He has appealed to us and made a success of both the genres by and large. But what comes naturally to him I guess is when he talks to us in an Agni Natchithiram or an Alai Payuthey lingo. Frankly when I saw Roja way back in 1992, I was a tad disappointed. First of all I couldn’t accept that Mani can do a film and make a good one at that without Ilayaraja and P.C.Sreeram. And then a Mani film with a serious issue like Kashmir strife as a template was something unimaginable and not expected. But gradually the film grew on you. (So did Rahman’s music). And when the dubbed version of Roja got a wide appreciation in Hindi, I guess Mani’s ambitions took wings. Then after he started writing Tamil films but for a national audience. 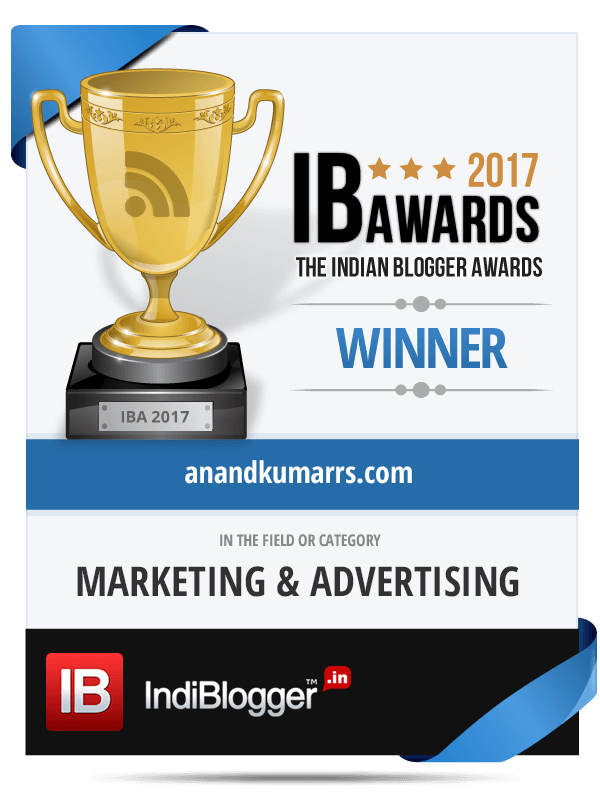 So a sense of indulgence started creeping in as it does for most creators who initially create work without any burden of expectations and then have to, to live upto their own reputation. Even at that stage I thought he was still making brilliant films. I for one still couldn’t understand why a Dil Se flopped (perhaps for the contrived climax I later concluded). But with Alaipayuthey in 2000, he went back to his original style- a film about relationships without any forced backdrop. And just for the Tamil audience. And about Urban youth. And with P.C.Sriram. And just when we were relieved, Mani Sir went back to his second type with a series of films like Kannathil Muthamittal, Aayutha Ezhuthu, Guru and Raavan. I liked KM and AE but only in parts. I forced myself into liking Guru though not fully convinced. I gave Raavan and Kadal a miss after not so charitable reviews. But quite obviously they were disappointing and couldn’t help questioning Mani’s sync with the times. It’s not my contention that Mani should stop experimenting and keep making Agni Natchithiram/Alaipayuthey/OK Kanmani type films for ever. I am sure he has still within him for a few more movies and good ones in that. Just that anxiety as an admirer of Mani’s craft that his upcoming movies mustn’t fail and he mustn’t fall from that high pedestal he is positioned himself in. Rightly said anand, mani is at home in movies like mounaragam,alaypayuthe,agni&okk.there was one Pagal nilavu earliest if i am right was well taken for mani Ilayaraja duo. Govind, thanks. Yes Pagal Nilavu came before MR and was a good one too! Nicely summed up! After reading your first line I worried whether this is going to be a scathing review of the movie but of course it was not. I think you were right in saying how Mani sir revolutionized modern age movies with zero melodrama and natural dialogues. People in his movies talk like how people talk in real life, right down to the inflection, and I guess that’s what adds to the charm. Have you seen his Telugu original Geethanjali starring Nagarjuna? I am not sure if it was dubbed into Tamil but that movie is still one of his most magical ones I feel. The locations, using natural elements like mist and fog as narrative props, the wonderful background score by Ilaiyaraja, and zero make-up on people – I can watch this movie any number of times! If you ask me, I think people these days are more in need of movies like OKK than something like, say, Bombay or Roja. Hi Uday, thanks for the detailed feedback. “Idayathai thirudathey” was the Tamil remake of Geetanjali and one of Mani’s better movies in the initial days. I did like that film very much. Thanks Rajiv for the read and for the feedback! Well written Anand! Cannot forget the days of dissecting the movie part by part and people say we should go to a movie for “Editing” ! Here in the UK it is difficult to ‘feel’ the distinction you obviously feel between two types of Mani Ratnam films in the same way. On the whole I prefer the Tamil to the Hindi films though I’m not completely sure why. Practical issues mean that it has generally been easier to see Mani’s work in its Hindi versions in the UK (i.e. dubbed DVDs of earlier Tamil films). I’m very fond of Kannathil Muthamittal and I would put it next to Alai Payuthey as a ‘Tamil’ film rather than with Dil Se or Guru as Bollywood films. The Tamil films seem to me more directly connected to real world issues. The Hindi films, even when the social issue is ‘real’ seem contrived and associated with the artifice of Bollywood’s creation of a fantasy world. I hope that Mani doesn’t stop but continues to explore South Indian stories. I’d be happy if he continued to use the cast from OK Kanmani. Thanks for the read and for your detailed writeback! Hi Roy, Thanks for reading and for the detailed feedback. As a keen follower of Mani, looking fwd to his good work.